Parametric model of sculpture modelled in Rhino and scripted in Python / Grasshopper. 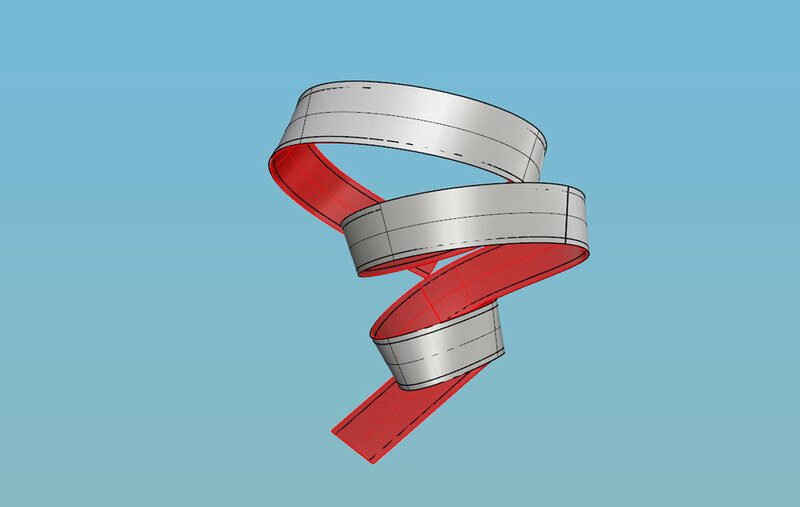 Variables include width, thickness, twisting based on a single curve path. Elements can be unrolled and split into sections for dynamic fabrication. Cyclorama located in Bankside above the renowned Union Theatre. The sclupture by Rachel Wilberforce was commissioned by Network Rail, Southwark Council and Better Bankside. 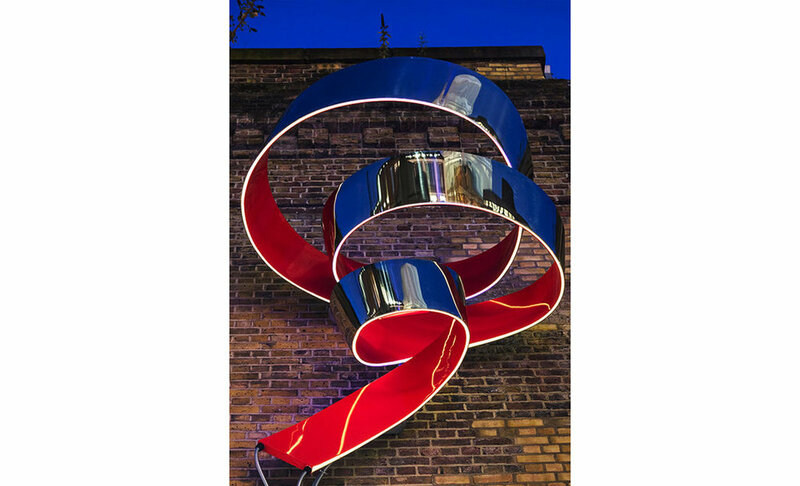 The sculpture is a dynamic twisting spiral reflecting its surroundings and sky acting as a beacon for the revitalised arches on London's Union Street. 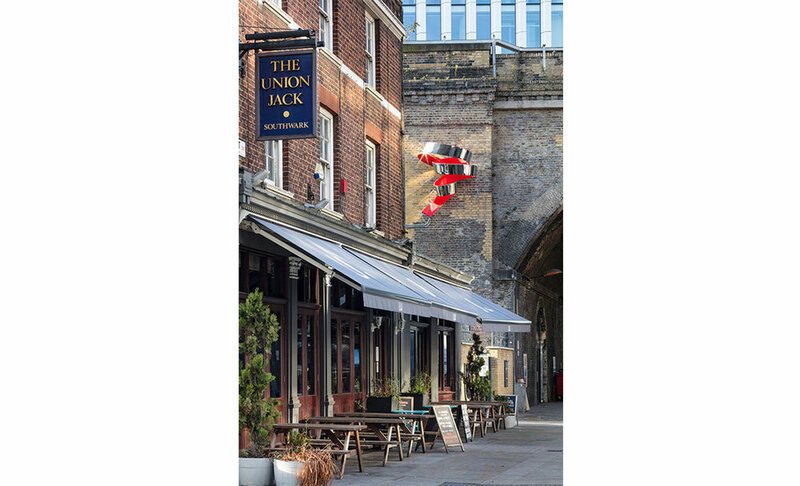 At over 2m tall it is constructed of a sandwich of mirror polished and powder-coated stainless steel with a concealed LED lighting strip. The project presented some very complex and design challenges. We were involved in visualising early concepts using the artist's sketches and maquettes. 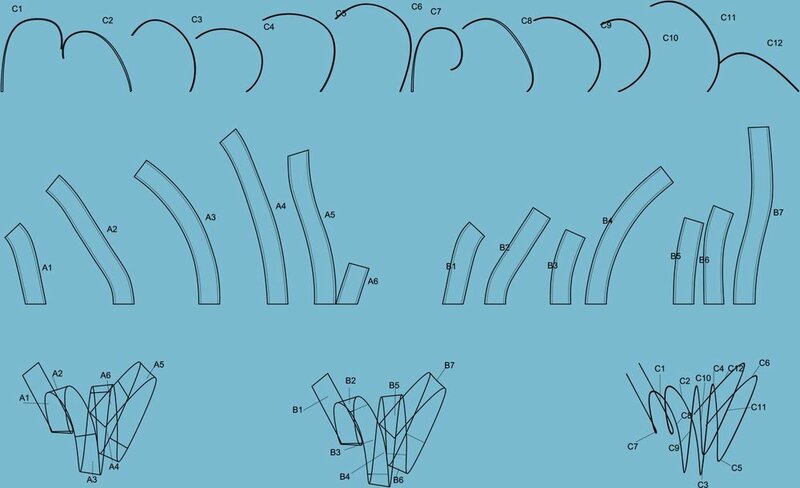 Production information was produced using complex 3D parametric modelling, allowing the form to become 'unrolled' dynamically and separated into the final sculptures key components. Custom parametric scripts were written in-house to optimise the design progression with the artist and fabricator. See www.rachelwilberforce.com for more information.